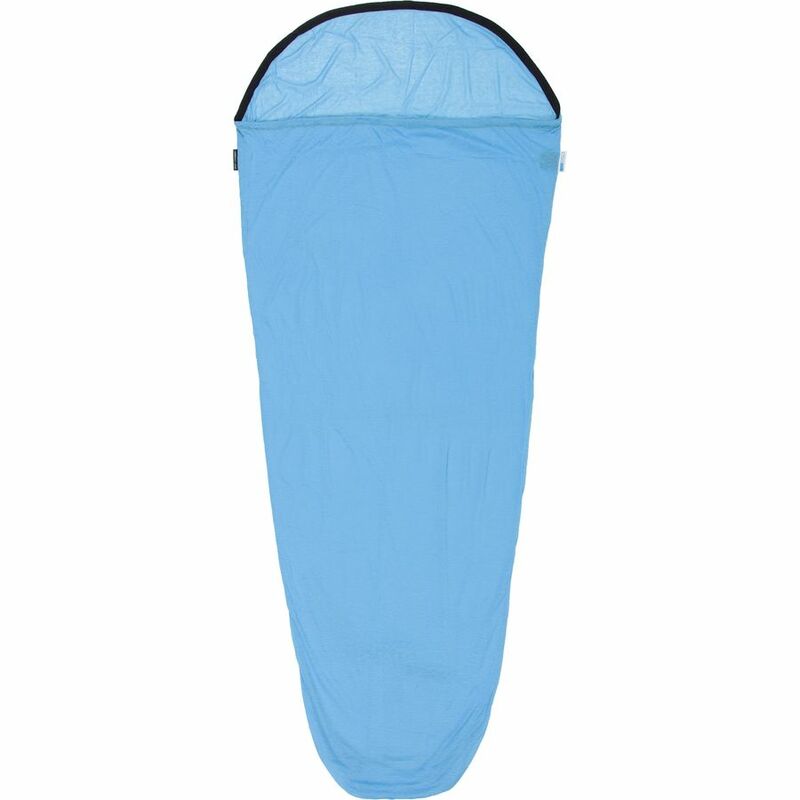 We know for many years for its Sea To Summit Waterproof bags, sheets Thermoreactor his bag, and many small practical accessories (glasses foldable, waterproof kitchen, toilet utensils …), less the Australian brand known for its sleeping bags. 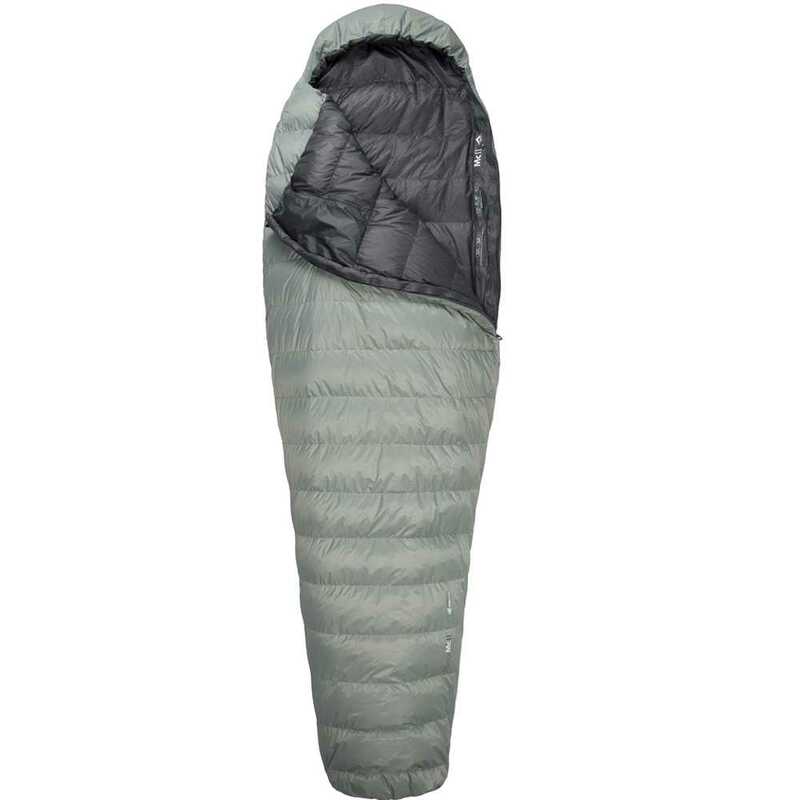 Sea to Summit currently has four sleeping bags range on Entertainmentdns.com: Alpine, Traverse, Micro and Trek. 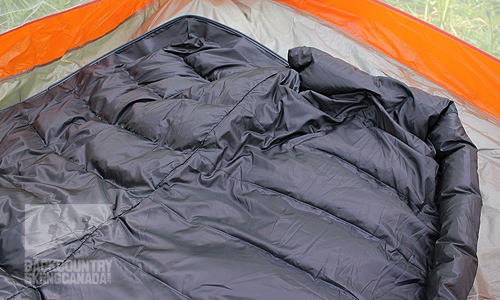 The Micro range includes the lightest sleeping bags of the brand. Two models contained therein MITI and the MCII. I tested the sleeping bag Micro MCIII during a trip to the Bougmez Aït Valley Central High Atlas in Morocco. Two nights under the stars and two nights in a cottage. 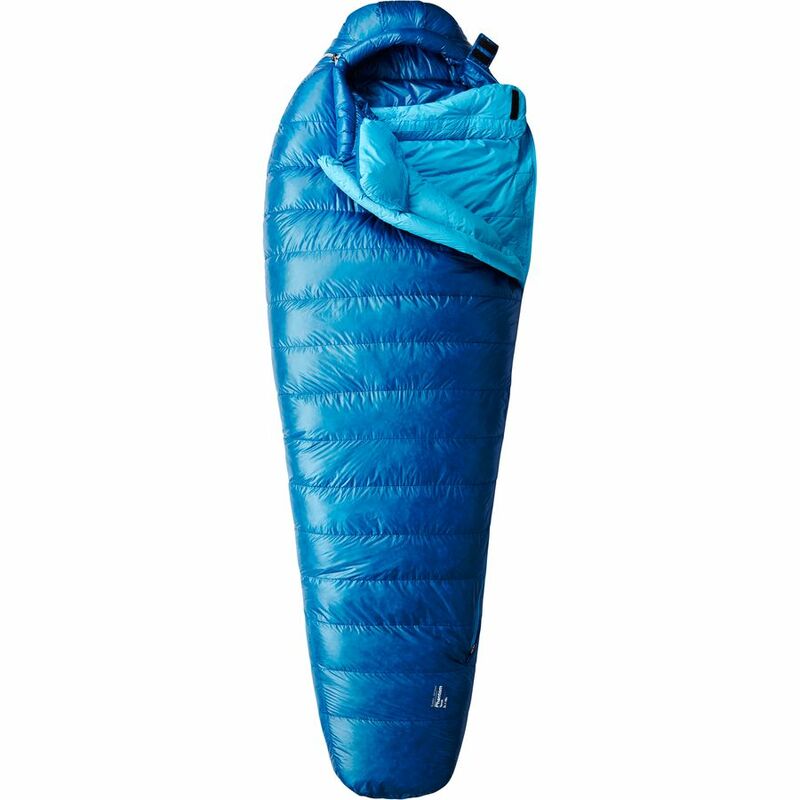 What is striking from the outset when we take the sleeping bag is its high level of compression and light weight (815 g with the compression sleeve). According to Sea To Summit, we can compress up to 2.8 liters. Around 3 liters, it already seems more reasonable and quite exceptional at this level of comfort and lining temperature. A overtighten the compression bag, the risk of damaging the straps of compression bag and blanket. 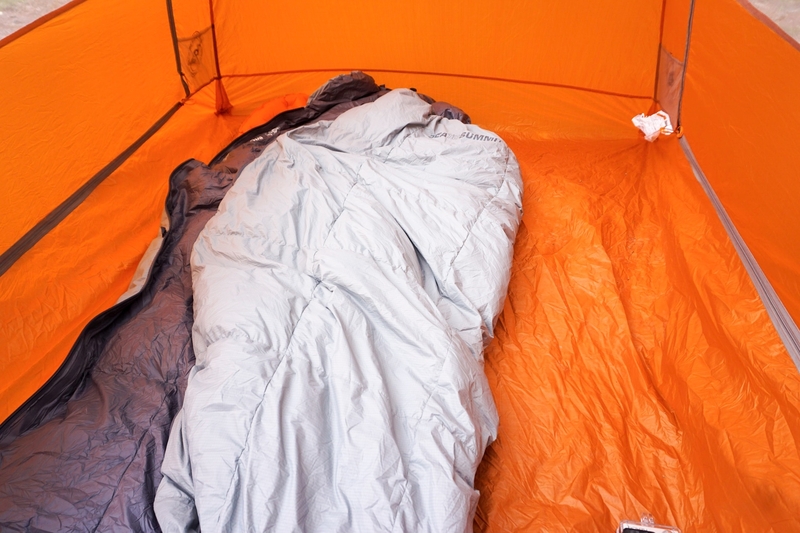 Once the sleeping bag out of the compression bag, I see a light down, very pleasant to the touch. 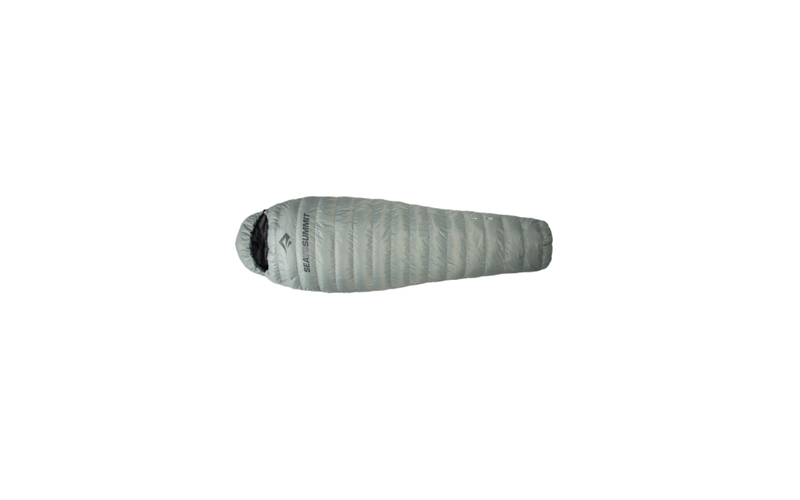 The sleeping bag comes with the analysis report sleeping bag components IDFL laboratory. It’s smart to be transparent. I learn that 95% of down are composed of 98% down goose and duck 2%. The cuin (fill power), American, 850+ is reduced to 905 according to the report. If converted into European cuin we would approach 805. This difference is due to a different method of analysis (more info on ). 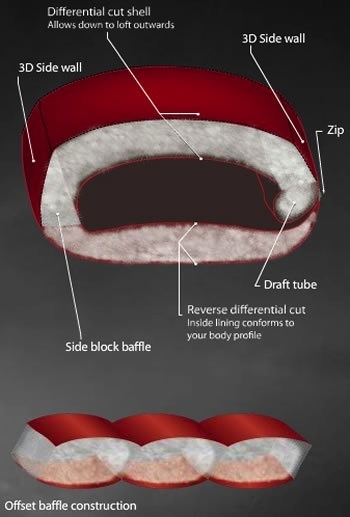 Construction is elliptic differential box-type to prevent the duvet not ride too and minimize heat loss (see diagram for details). 380 g of down to 95/5 and it cuin there, for sure the nights are mild and pleasant. 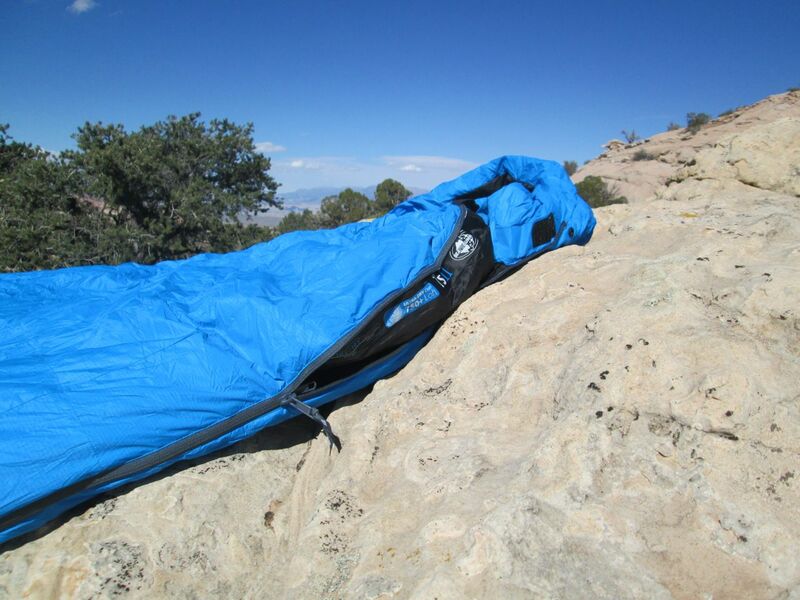 Another highlight, the sleeping bag has two openings: one at the head (classic) and feet and a long zip simple slider. 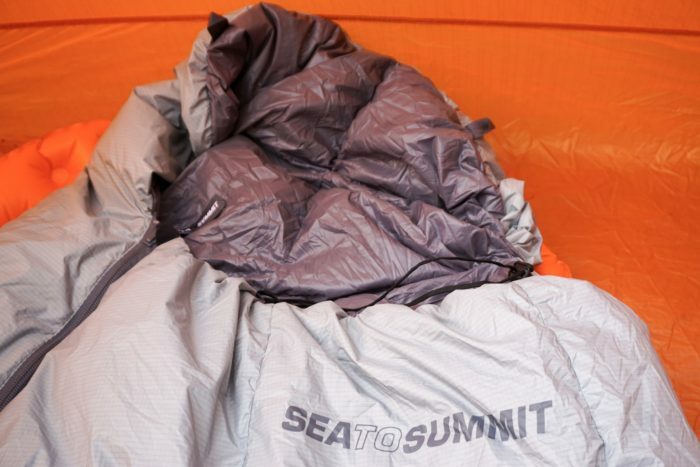 Sea To Summit has chosen for its Micro range to offer a flexible sleeping bag by the user.The sleeping bag is completely open and being used as a cover. 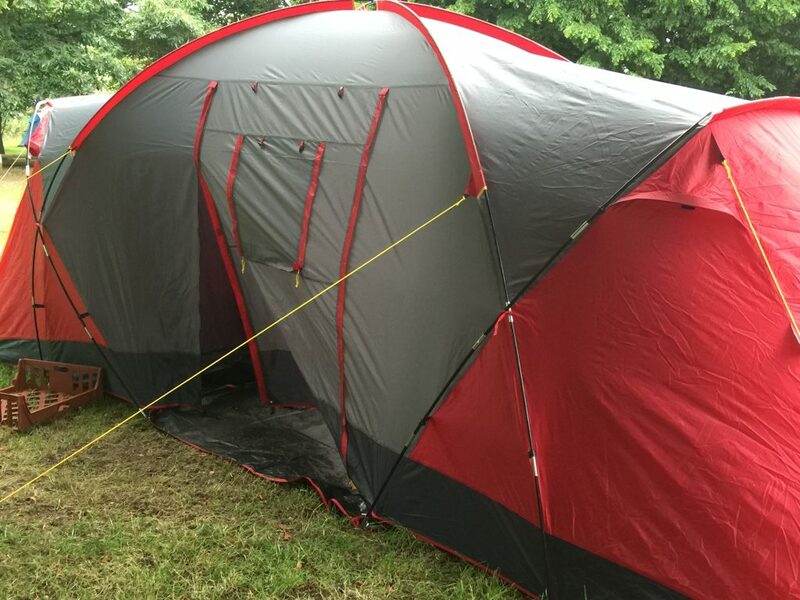 It’s convenient to sleep in a refuge or very mild weather. 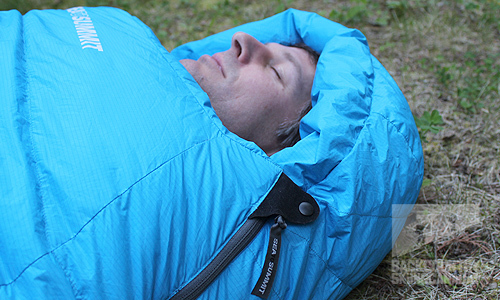 In his sleeping bag configuration, the user can close or not open to foot. According to his needs, and has a sarcophagus-shaped bag (tight cord) or rectangular (not tight cord) that can adapt according to the weather. 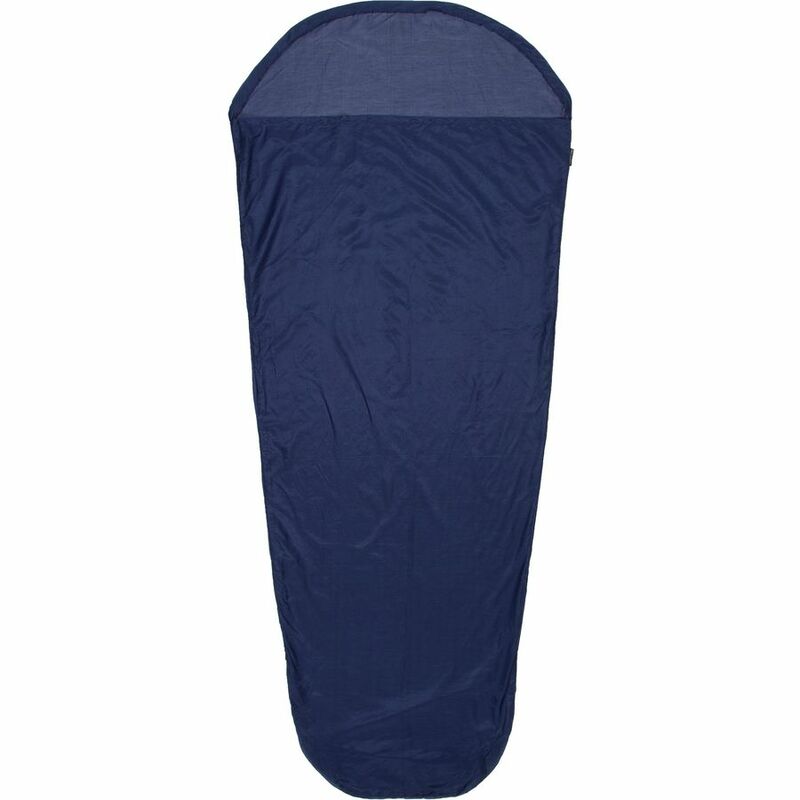 No need to have a double zip to ventilate the lower body like the classic models of sleeping bags. The zip is however quite late. This saves weight but is it tough to use? Along the zip, there are also a bunch of effective protection against the cold. A drawstring at the head allows to have a full hood (tight cord) or not (not tight cord). No collar by cons to prevent the heat is not removed through the top of the bag. 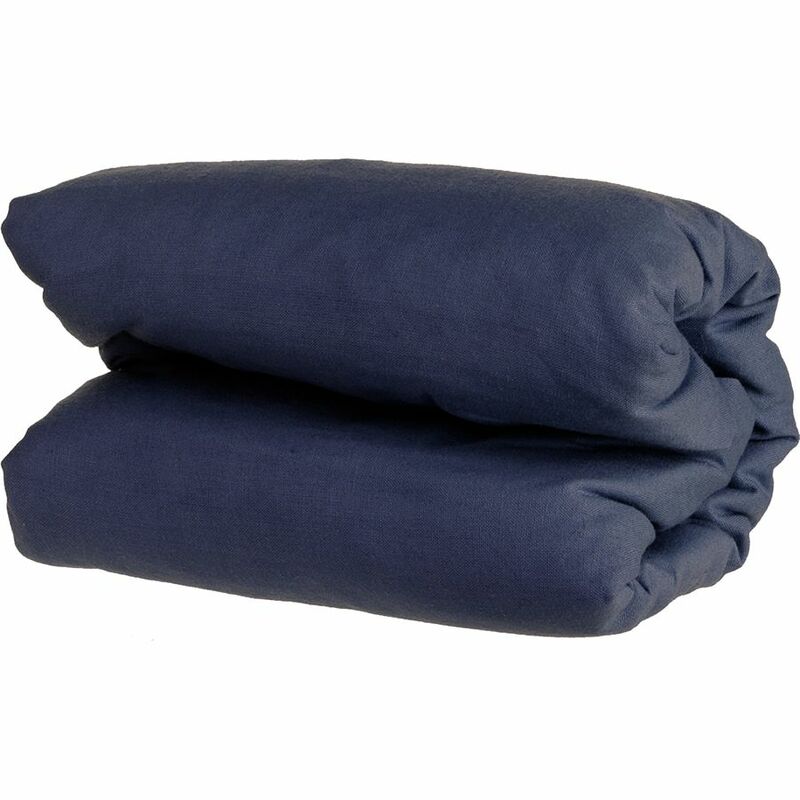 If this type of sleeping bag with a comfort temperature of 4 ° C, it is not necessary, some users a bit claustrophobic do not like to tighten the hood and prefer to have the presence of a collar to stay warm . 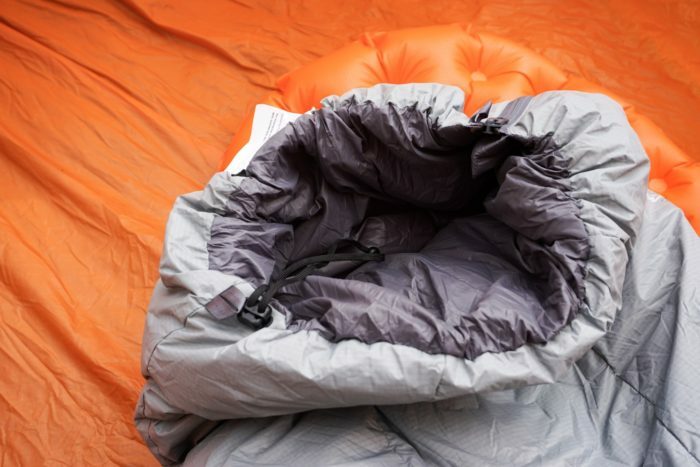 Presence of a pocket inside the sleeping bag with a zip closure. It can be handy for storing small items like an MP3 player. During my four nights, I could check the value of this modularity. Two nights under the stars on a mattress Therm a Rest Neoair, a rather soft (about 15 ° C), another cooler (about 7 ° C) and windy, followed by two nights in lodging. I was able to test the fashion coverage, sleeping bag configuration with the cord in tight little feet and tight supply. The bag cut well wind déperle, drawstrings and pockets are easily accessible.Thermicity side, when the temperature fell in the morning, I had tightened the cord to block the feet to not let the cold air entered. 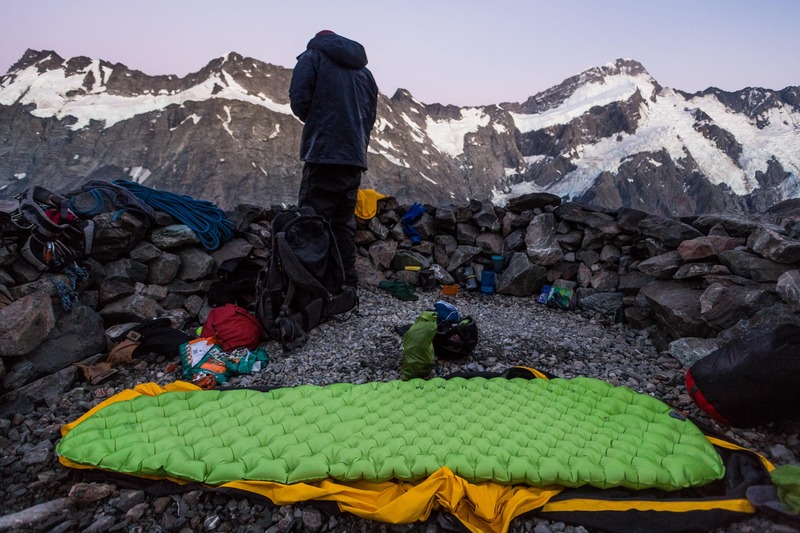 The heat in the feet is a bit less efficient than a conventional system but if you do not push the sleeping bag on the edge of the comfort temperature, the modular system is a real success. 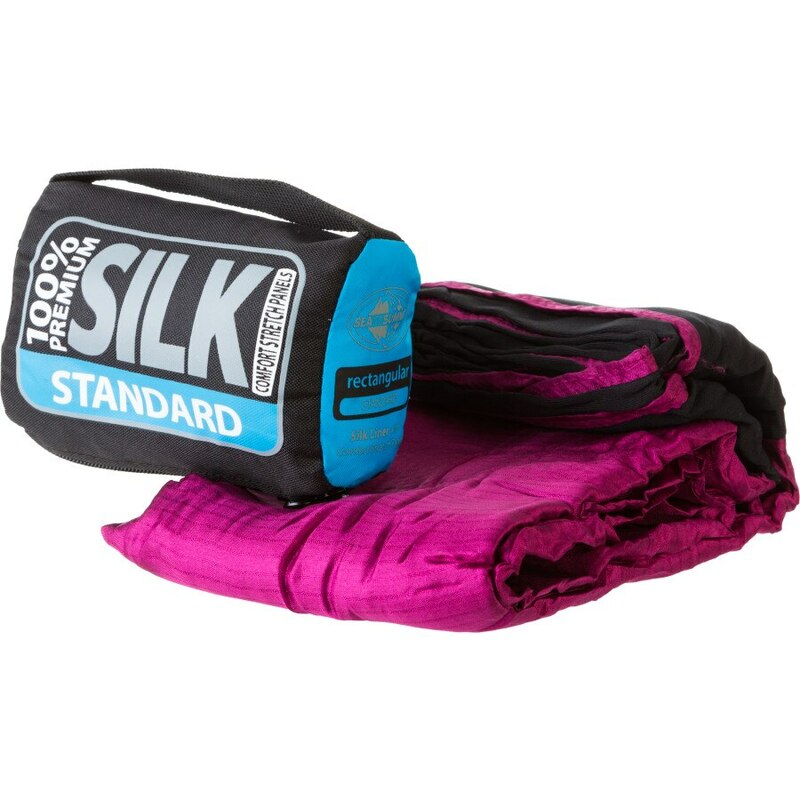 The sleeping bag is delivered with an efficient compression bag (already mentioned), storage bag and a cotton wash bag with all cleaning instructions. 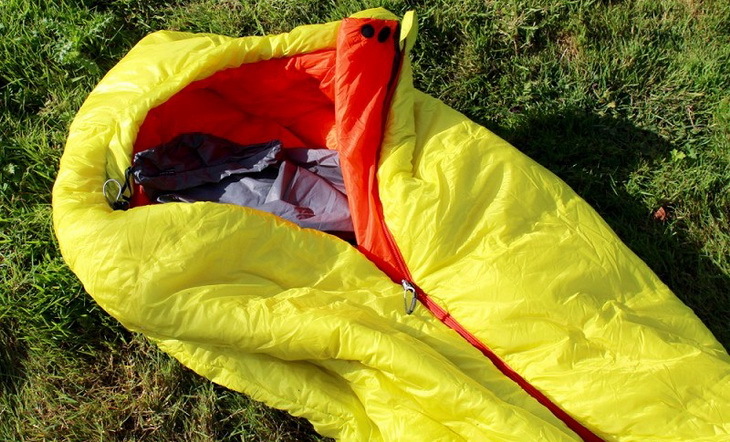 Finally a real kit to compress, store and wash your sleeping bag.